My wife and I love to travel, and as a result we’ve dragged our children around the world with us, starting from a very early age. Traveling with small children can be an extreme challenge, especially if parents might want to have an occasional evening or even a day way from the kids. Bringing a babysitter along on a family vacation is neither practical nor affordable for 99% of us. That’s one reason we fell in love with cruising, especially when our kids were young. Not only did we find cruising a bargain for our family of four, there at our fingertips were continuous activities designed specifically for kids and a plethora of babysitters in the form of crew wanting to earn some extra money. This was a win/win, as both kids and adults had lots of options for time alone, time with peers, and time as a family. Our kids have long outgrown the kids club and are too busy with their own lives to have much interest in international family travel. Even though they are tired of traveling the world, Marcia and I are not. In fact, we’ve even half-heartedly joked that we would love to make a cruise ship our retirement home. Apparently that idea isn’t necessarily a joke, according to a December 2016 BBC article by Elizabeth Garone. 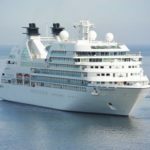 The article finds that number of people cruising, around 24 million a year, has almost doubled from ten years ago and most cruisers are over age 50. A growing number of these people are making the cruise ship their second home, and in some cases their permanent home. About 15 years ago we were cruising on the Queen Elizabeth when I noticed a cabin that had a rather permanent-looking name plate on the door. When I inquired about it, a crew member told me the occupant actually lived on the ship. While the personal space on a ship can be a bit small—most cabins have around 170 square feet—the amenities are expansive. All the food you can eat, housekeeping services, internet, an ever-changing neighborhood, fitness gyms and programs, nightly entertainment, an opportunity for a vibrant social life, no home maintenance, and no driving required. The cost can run from $100 a day if you shop the bargains to $300 a day if you really want to remain on one ship for an extended stay. That’s $3,000 to $9,000 a month for food, room, and transportation. This may sound like a lot until you start comparing it to the cost of an assisted living facility. If you really love the lifestyle and are better off financially, you can make running away to sea a more permanent move. It’s possible to buy a residence on The World, which has 165 units costing $1.65 million for a studio to $15 million for a three-bedroom penthouse. However, retiring on a ship isn’t all smooth sailing. Even though some of the amenities are to die for, you need to be healthy to enjoy them. The medical facilities onboard are limited, so an injury or serious illness can put you ashore in a hurry. You’d need to carry evacuation and additional medical insurance. You also could grow tired of the same menus every week, the same crew members, and the same ports. If you’re from a northern climate, you might even miss snow every now and then. 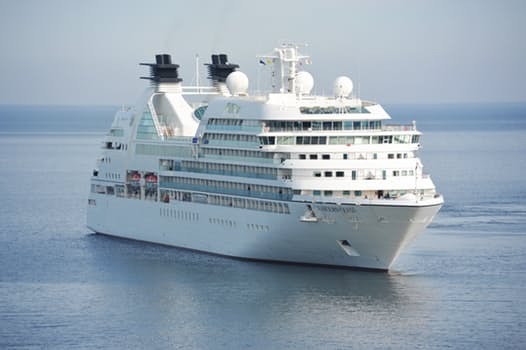 Like other retirement decisions, choosing cruising needs careful research and consideration. Before you sail into the sunset, discuss options with family members and financial advisors, and take several long cruises to make sure the lifestyle is what you want.